In 2011, a formal Social Media Support team was created at Rogers. In 2014, the team began using Lithium Social Media Management as a social tool to better enable customer engagement and provide valuable insights through analytics and reporting. 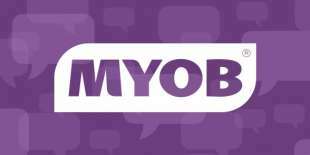 In 2015, as part of the company’s commitment to overhaul its customers’ experience, Rogers moved to offer support 24/7 for customers through social media. 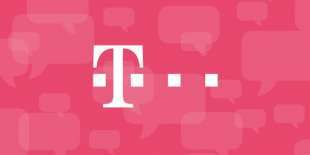 But how could they take that to the next level to truly deliver the best end-to-end customer experience with minimal customer effort? Why did you switch to Lithium Social Media Management? It came down to scalability and ease of use. We needed an intuitive tool to seamlessly onboard new team members. Our agents are able to self-train and be online with Lithium Social Media Management in a matter of hours. This was important to us with a growing team. In addition, Lithium was a known entity to us– we found the support amazing and the team a pleasure to work with. 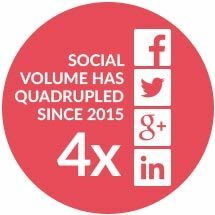 Lithium Social Media Management was a natural expansion of our partnership beyond our Lithium-powered community. How has Lithium Social Media Management addressed your business challenges? We have a unique instance of Lithium Social Media Management set-up because we have employees in three different regions of Canada- teams that we never see in person- working 24/7. We also have the Fido Social Media Support team, and they use Lithium Social Media Management. So there are many hands in the pot, and yet we’re able to perform at a high level. Lithium Social Media Management streamlines this process for us and makes it very efficient. How did you decide that Facebook Messenger was a channel you wanted to pursue? There are over 16 million Canadians on Facebook every day, so we wanted to go where our customers were- it’s that simple. For us, we’re platform-agnostic. Social is social. We’ll serve you on the social channels that matter most to you. Facebook Messenger happens to be one of those channels. How do you leverage Lithium Social Media Management to drive great customer service on Facebook Messenger? We launched customer support through Facebook Messenger because we wanted to bring our customers the best self service in the world. Customers can reach us through Facebook Messenger to ask questions, make changes to a plan, update an account, set up a new line and more. 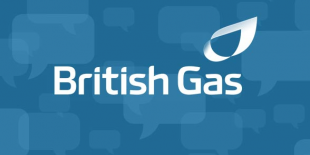 Our social care agents manage those communications through Lithium Social Media Management. What features make Lithium Social Media Management scalable for Facebook Messenger integration? It’s scalable because it’s intuitive, easy to use, and truly easy for us from an admin perspective to set-up new queues. Before we launched Messenger, everything came into one queue. The flexibility of Lithium Social Media Management helps us prioritize so customers coming into Messenger are getting faster service. What has been the impact of Lithium Social Media Management on your customers who use Facebook Messenger? 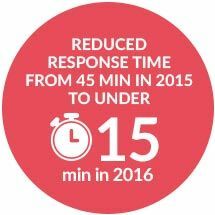 Not only are our customers receiving quicker service—we reduced our response time from 45 minutes in 2015 to under 15 minutes in 2016 not just on Messenger, but across all social channels-- overall they are also more satisfied. 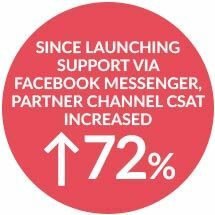 The Social Media Support team has seen a 72% increase in partner channel customer satisfaction metrics since we launched Messenger, giving us the highest score across customer contact channels at Rogers. We’re also honored to have consistently earned Facebook’s Very Responsive to Messages badge. How have you activated a digital customer experience strategy, and what are the benefits of that approach? We are one team. One big family of 60 people moderating, working on our community, working on our social channels. With a digital customer experience strategy, our customers receive a powerful suite of tools through our Lithium-powered community and Lithium Social Media Management—which is critical to our social efforts of providing customers with convenience through self-serve. Through community, customers can get help from peers, and there is value in hearing it from someone else besides the brand itself. But if you desire direct assistance, we provide that too—Lithium Social Media Management enables seamless engagement with our customers, allowing us to respond to their support requests on Facebook/Twitter via PM/DM or in public. Ultimately, our digital CX approach offers our customers options on how they want to get help.